My Mom and Dad had several appointments scheduled in Charlotte at the end of last week, so they spent several days at our house. We managed to fit in a whole lot of fun between those appointments! Thursday night, after Mom and I left the 4 big kids with Dad and ran away to Kohl’s for a 2 hour shopping expedition, Rebekah got to open her birthday present. 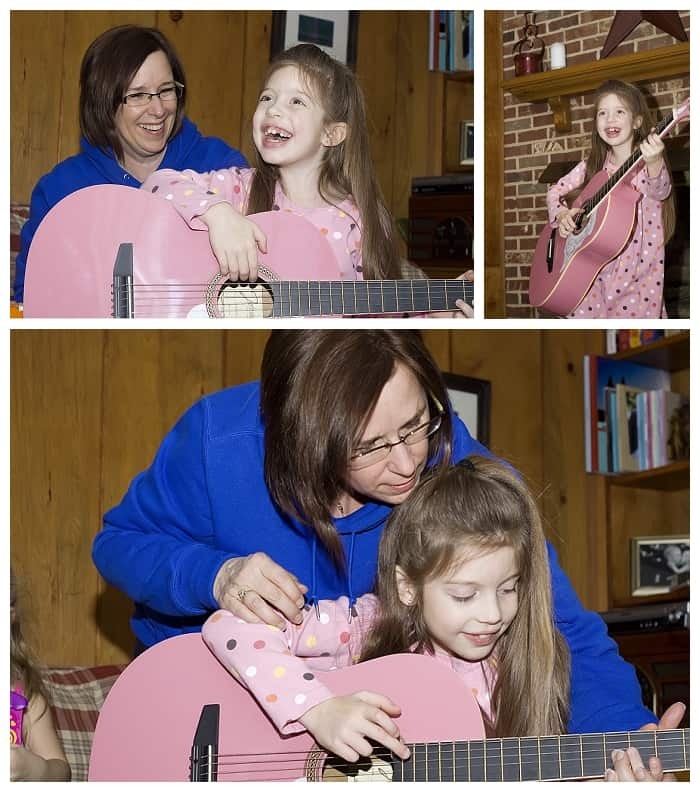 She was ecstatic when she opened her very own REAL guitar! 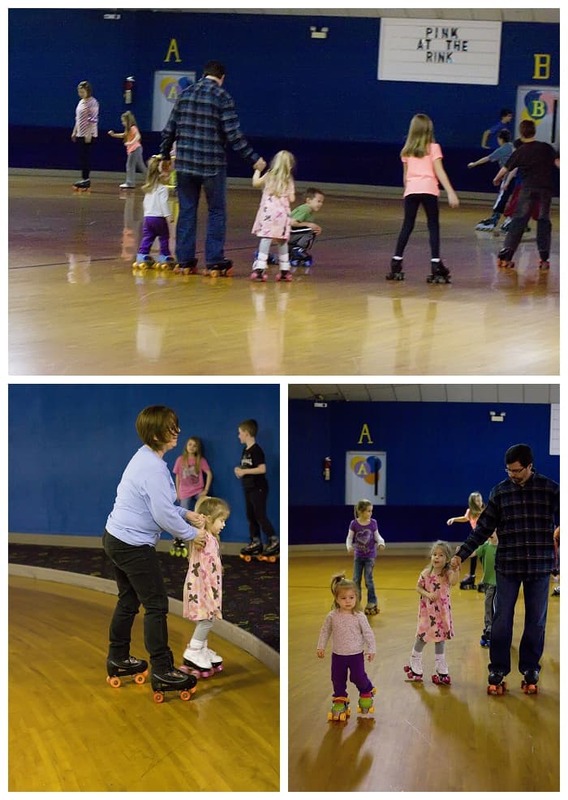 On Friday the kids got to attend our homeschool skate with Grandma and Mac-Mac. 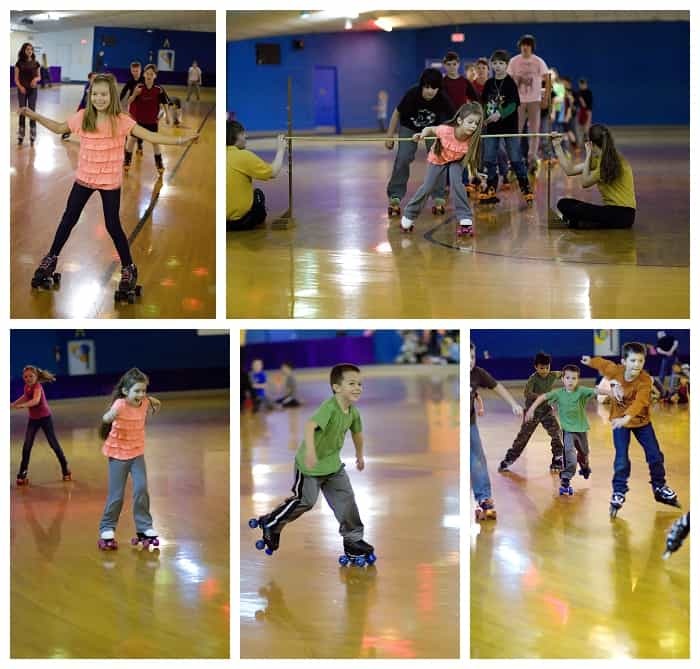 It was so nice to have so many people available to skate with the kids. Peyton has graduated from using the skatemate walker, though she still prefers to hold a hand while skating. The kids didn’t win any games this week, but they sure had fun! Many people were surprised to see my kids’ grandparents out on the rink skating- gotta love having young parents! Peyton asked for ear piercings for her birthday. Worried about the possible soreness and emotional trauma, I wanted to have the piercings done before her real birthday, so we took her to the mall after roller skating. After Rebekah’s botched piercing, I surprised myself by speaking up and insisting on having a manager pierce Peyton’s ears. Peyton choose pink stones for her studs and sat perfectly still in the chair. 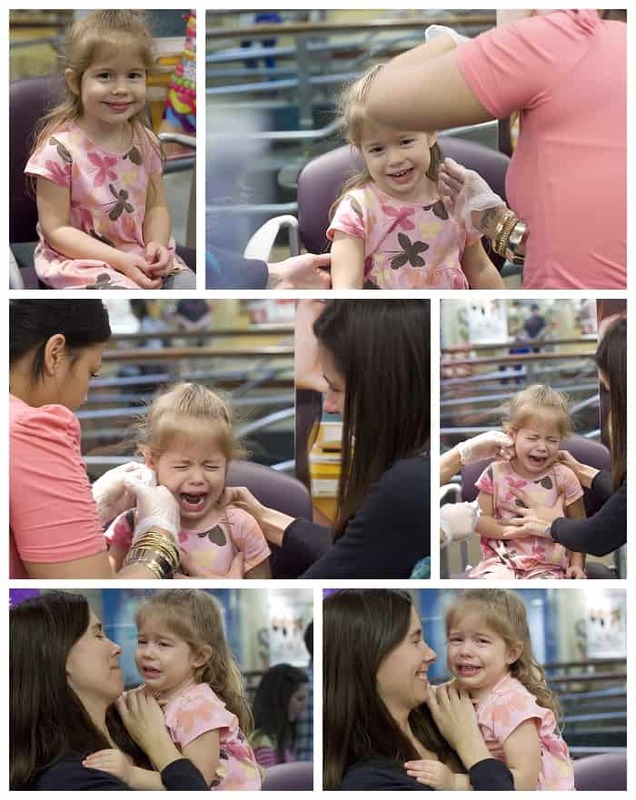 After the first piercing she continued smiling and didn’t cry…until she remembered that she still had another ear to go. She started sobbing, but sat still as the next ear was pierced. She recovered quickly and hasn’t complained about soreness at all in the following days! Peyton also got to open her birthday present from Grandma and Mac-Mac. The kid’s formed a band and gave us quite a show. 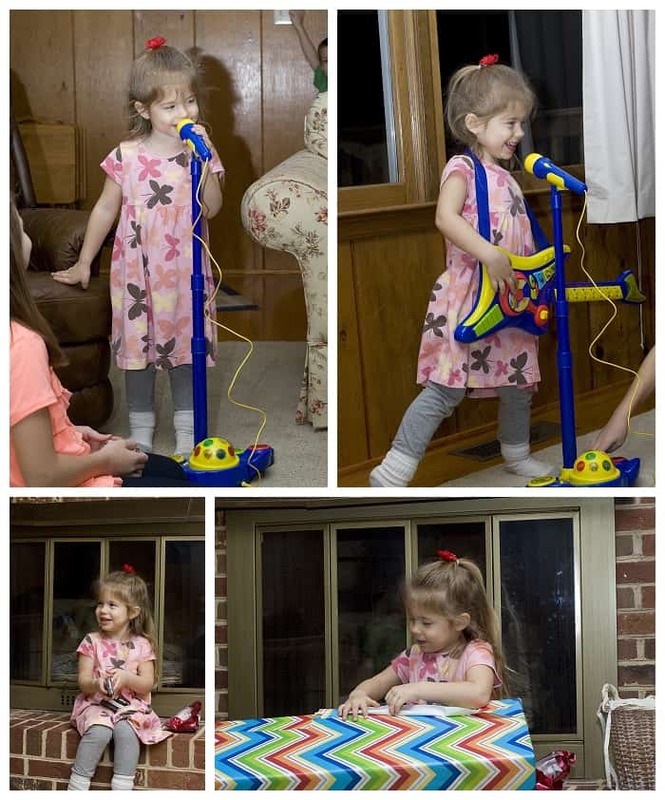 One real guitar, two toy guitars, one microphone, one recorder plus a set of toy pots turned drums. Rob thinks my Mom and Dad are out to get him! He hates noisy toys, and all those “instruments” played at once would give anyone a headache! Previous Post: « Happy 4th Birthday Peyton Ruth!